Bathroom-remodeling firm Re-Bath has named Derek Fuller to head finance. He most recently led the finance function at franchise education system Primrose Schools. Tom Paulson plans to retire as finance chief at Tennant, expected in the first quarter of next year. The cleaning solutions designer and manufacturer has hired a search firm to help find his replacement. Consulting firm Ankura has chosen Ben Seto to lead the finance function. He previously was CFO at Avendra. Mike Lisman has been promoted to the top finance spot at TransDigm Group, a designer, producer, and supplier of airplane components. He takes over from interim CFO Jim Skulina, who will become senior vice president of finance. Lisman had been vice president of the firm’s mergers and acquisitions team. ServiceMaster Global Holdings, which provides commercial and residential services, said that its finance chief, Alan Haughie, will retire in March. Anthony DiLucente has been named to succeed him and will start at the firm immediately, but Haughie will stay in his post until financial results are reported for the quarter and year ended Dec. 31. Previously, DiLucente headed finance at HDT Global. Neill Reynolds has been named to lead the finance function at Cree, effective Aug. 27. Reynolds, who replaces the retiring Mike McDevitt at the manufacturer of lighting products, most recently was senior vice president of finance, strategy, and procurement at NXP Semiconductors. Medical-technology firm Hologic has promoted Karleen Oberton to the top finance spot. 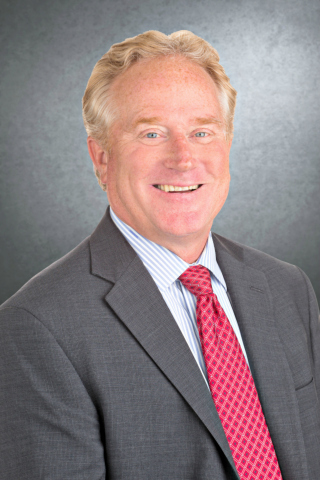 Oberton, who had been chief accounting officer, takes over for Bob McMahon, who will become head of finance at Agilent. Seagate Technology said that David Morton, Jr., who leads the finance function, will leave the firm on Aug. 3. Senior finance executive Kathryn Scolnick will become interim CFO. Used-car retailer DriveTime has named Mary Phillips finance chief. She succeeds Kurt Wood, who had headed finance since 2014. Phillips formerly was a director for asset-backed finance at Wells Fargo Securities, and had worked with DriveTime since 2011. Moody’s Corp. said that Mark Kaye will take over the top finance spot on Aug. 20, succeeding Jeffrey Hare. Kaye formerly was head of financial planning and analysis at Massachusetts Mutual Life Insurance Co., as well as CFO of MassMutual U.S., the firm’s domestic insurance and retirement plan division.